Want to book, make an enquiry or just have a few questions? Please just fill in the below form or call us on 07794401591 and we will reply super rapido! (N.B this is not an automated system) If you choose to make a reservation you will recieve an email with pitch details and a payment link. You can also find out the answers to frequently asked questions here. Please note that if you are making a reservation you are agreeing to our booking terms and conditions, including refunds policy. 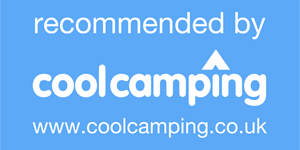 We would love to keep you in touch with goings on and special offers here at Whitlingham Broad Campsite and may drop you an email from time to time. If you would prefer not to receive any emails please tick the box below. Please note that we will never pass your contact details on to any other party and you can opt out of our emails at any time. We would love to stay in touch and let you know what's occurring on the site; but we promise we will never share any of your contact details with anyone else. EVER! If you don't want to stay in touch then no worries! What is Love the Broads? Love the Broads is a visitor giving scheme which supports excellent projects in the Broads. Here at Whitlingham we support the charity and are inviting all our guests to make a small donation of 50 pence per booking. To find out more about Love the Broads just click on the logo. Thanks! 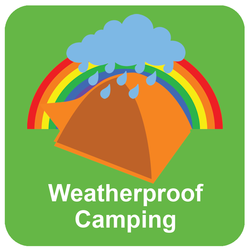 Camping pitches are available year-round and during the low season we are happy to offer special deals on sole use bookings, giving you the whole site to yourselves! Please note that for bookings made more than 48 hours in advance Friday & Saturday nights must be booked together and there is a minimum three night stay over any bank holiday (e.g. Thurs/Fri Sat or Fri/Sat Sun nights).